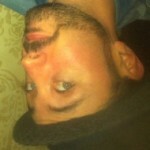 Home » White Folks’ Burden? 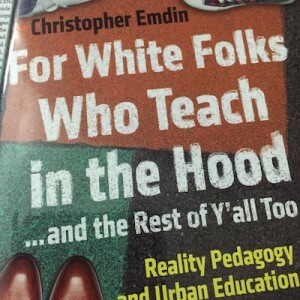 With the recent publication of “For White Folks Who Teach in the Hood…” by Teachers College’s ascending star Professor Christopher Emdin, the halls are abuzz with talk of Reality Pedagogy and #HipHopEd. Highlight of the TC Academic Festival: Emdin passed the mic to Three Prodigies of his Seven C Pedagogies (and a White Folk… I know, but it …broke my flow?). Emdin’s radical message—delivered with wit, passion and style (that I could never hold a candle to)—and the consummation of a decade’s work with urban youth can be summed up as this: recognize their brilliance, learn their culture, and empower them to use it in the classroom for acquiring academic skills. Emdin is addressing the missionary White Folk coming out of programs like Teach For America, who in my own estimation are (in part) answering to Kipling’s clarion call. Emdin tries to salvage this humanitarian tendency from its colonial roots, but in doing so seems to have missed the points made by Paolo Freire regarding the pitfalls of Ally work. In White Folks, Emdin re-defines urban YOC as neo-indigenous based on the shared historical experience of Oppression with the indigenous, illustrated by comparisons to the Carlisle Indian Industrial School. Here the connection to Freire’s thinking in Pedagogy of the Oppressed ought to be illuminating. Freire states the historical task of the Oppressed is to “liberate themselves and their oppressors as well” from the mutually dehumanizing process of Oppression. Whilst maintaining a ‘fundamental’ role for converts/allies, he makes a distinction between humanitarian and humanist generosity. Emdin has one vision for this Ally work, but I contend that he has allowed them (us) too central a role. I argue that community hiring practices combined with re-valuing the students’ experiences are necessary for meaningful change. There are historical precedents that could be drawn on from the 1960s such as the community hiring practices of the Freedom Summer Schools in Mississippi 1964, or, closer to home, the paraprofessional hiring of Parent-Teacher teams in Harlem from 1967-70. In 1964, after political disillusionment resulting from the Democratic National Convention, working-class black Mississippians were able to take control of their own futures through the efforts of the Child Development Group of Mississippi (CDGM). This lost-alternative history is detailed in Dr. Crystal R. Sanders’ recently published work “A Chance For Change.” By using funds specifically set aside for anti-poverty measures and administered by the Office of Economic Opportunity (OEO), grassroots organizers (some, White Folk) secured $15 million over three years for their own Head Start program that ‘provided early childhood education, health screenings, and nutritious meals to more than 6,000 black children’. Most importantly, the CDGM programs recognized and valued the skills of the women in these communities over the requirement for credentials. Secondly, let’s consider the 1968 Parent-Teacher teams in Harlem. These ‘non-professionals’ were parents, hired as co-teachers, who brought cultural sensitivity and awareness to classroom practice. This simultaneously provided real opportunities for people in these communities. Many of the parents were able to expand on these experiences through access to further training and education at TC and later CUNY. Today, as Michelle Alexander and others point out, when POC males are disproportionately targeted by a system often described as the school-to-prison pipeline, academic achievement is only a bridge to the jobs that are available. I imagine it’s hard to get excited about academics when experience shows few exemplars from your own ‘hood, Emdin himself being an exception. I don’t mean to suggest that his classroom strategies won’t work when delivered by White Folk, he gives examples that prove it does, and I heard many heartfelt thank you’s from the crowd at the Academic Festival. I suspect it might work better with people from the community as the special brand of Teacher-Facilitators that Emdin desires. Emdin, of course, foresees this challenge, and after recounting a history and overview of co-teaching models makes a strong case for simply trying a fourth model: let the students co-teach. While I’m a strong proponent of increasing the agency and supporting the initiative of students in the classroom, I worry that leaving the status quo unchecked regarding who receives the training and who gets the jobs will only deepen the legacy of unequal opportunity. Teach For America candidates are often chosen for having skills deemed more crucial in subject matter expertise than in the practice and profession of teaching itself. This, as with Emdin’s Anthropology based Reality Pedagogy, is suggestive of what Jal Mehta describes as Technocratic Logic, a process whereby an external technical logic imposes itself on another field. Mehta outlines four qualifying elements: a crisis in quality; a high status epistemic community; a broad coalition of diverse actors; all of which leverage themselves against the prevailing low-status of the teaching profession itself. The crisis of education quality is essentially a given, and Teachers College seems to butter its bread off producing teachers adapted to the pedagogical demands of the day. A clear example of a high epistemic community currently seeking to use technocratic logic would be Neuroscience in education. Equally we see the practice of teachers overlooked when TFA advocates for their missionary zeal and SMEs or when Emdin advocates for the introduction of a kind of Anthropologist’s Pedagogy into education. This last criticism of Reality Pedagogy may seem unfair, given that Emdin developed his ideas from his own teaching experience. Yet the analogy seems doubly fitting. In Reality Pedagogy the teacher is expected to subordinate their own privileged experience for the culturally relevant experiences of the students. Essentially this elevates Pentacostal Pedagogy, Barbershop Pedagogy, and Cypher Pedagogy, which he draws on to establish Reality Pedagogy, above what could then be called White Folk Pedagogy. If we inevitably bring a higher epistemic community to bear on the Educational field, and Emdin seeks to elevate the place of Urban cultural practices, why not encourage hiring from that community as well? Imagine how much more broadly successful Emdin’s model could be if the teachers receiving his training, being placed in TFA-like programs, were also from these communities, like Emdin himself. We could imagine them learning and adopting his Socio-Anthropological methods (with hints of participant observation) to their experience of academic-professional training. Furthermore, the examples of CDGM’s Head Start program and Parent-Teacher teams in Harlem illustrate the broader potential of such liberating educational projects. To return to Freire, “those who authentically commit themselves to the people must re-examine themselves constantly”. As a White Folk, perhaps our real burden is recognizing how and when our presence is obstructing truly constructive efforts.